이 퀵스타트 가이드는 라라벨 프레임워크에 대한 기본적인 소개와 데이터베이스 마이그레이션, Eloquent ORM, 라우팅, Validation-검증, View-뷰, 블레이드 템플릿과 관련한 내용을 포함하고 있습니다. 라라벨 프레임워크나 PHP 프레임워크 자체를 처음 접하는 것이라면 이 가이드는 좋은 출발점이 될 것입니다. 만약 라라벨 프레임워크나 다른 PHP 프레임워크를 써본 적이 있다면 더 높은 단계의 퀵스타트 또한 이용하실 수 있습니다. 라라벨의 기본 기능들을 이해하기 위해서 단순한 To do 리스트를 만들어서 이루고 싶은 모든 과제를 확인하는 예제를 확인 할 것입니다. ("해야 할 일" 목록) 이 프로젝트의 완성된 소스 코드는 GitHub에 공개되어 있습니다. 가장 먼저 라라벨 프레임워크를 새로 설치해야 합니다. 홈스테드 가상머신이나 원하는 로컬 PHP 환경을 선택하여 프레임워크를 실행할 수 있습니다. 로컬 환경이 준비되었다면 Composer를 이용해 라라벨 프레임워크를 설치할 수 있습니다. 이제부터 나오는 내용은 눈으로 보기만 하셔도 됩니다; 하지만 이 퀵스타트의 소스 코드를 다운받아서 로컬 머신에서 실행하고 싶으시다면 Git 저장소를 복제하여 다음과 같이 Composer를 설치하면 됩니다. 라라벨의 로컬 개발 환경 구성에 대해 더 많은 정보를 얻기 원하신다면 홈스테드와 설치 메뉴얼을 확인하십시오. 먼저 마이그레이션을 이용하여 모든 해야할 일들을 저장할 데이터베이스를 정의합니다. 라라벨의 데이터베이스 마이그레이션은 유연하고 다양한 PHP 코드를 사용하여 데이터베이스 테이블 구조를 정의하고 변경하는 방법을 제공합니다. 팀 멤버들이 로컬 데이터베이스에 수동으로 컬럼을 추가하도록 하는 대신에 소스 컨트롤(gir과 같은 SCM)에 넣은 마이그레이션을 통해서 실행하면 됩니다. 그럼 이제 모든 해야할 일들을 저장할 데이터베이스 테이블을 만듭니다. 아티즌 CLI를 이용하여 다양한 클래스를 생성하면 라라벨 프로젝트들을 구성할 때 매번 작성할 필요가 없어 효율성을 높일 수 있습니다. 지금은 make:migration커맨드를 이용하여 tasks 테이블을 구성할 새 데이터베이스 마이그레이션을 생성합니다. 마이그레이션 파일은 프로젝트의 database/migrations 디렉토리에 놓일 것입니다. 이미 알고 있을 수도 있듯이 make:migration 커맨드는 마이그레이션 파일에 auto-increment ID와 타임스탬프를 추가하였습니다. 이 파일을 수정하여 추가적으로 해야할 일들의 이름을 위한 string 컬럼을 추가합시다. migrate 아티즌 커맨드를 이용하여 마이그레이션을 실행합니다. 홈스테드를 이용하고 있다면 호스트 머신에서 데이터베이스에 직접 접속할 수 없기 때문에 홈스테드 가상 머신 안에서 커맨드를 실행해야 합니다. 이 커맨드는 모든 데이터베이스 테이블을 생성합니다. 특정 데이터베이스 클라이언트를 사용하여 데이터베이스를 확인한면 마이그레이션 테이블에 추가한 컬럼들을 포함한 새 tasks 테이블을 확인할 수 있을 것입니다. 이제 할일을 구성하는 Eloquent ORM 모델을 정의할 수 있습니다. Eloquent은 라라벨의 기본 ORM입니다. Eloquent를 사용하면 명료하게 정의된 "모델"들을 이용하여 데이터베이스에 데이터를 저장하고 조회하기 용이합니다. 보통 각 Eloquent 모델은 하나의 데이터베이스 테이블에 대응합니다. 이제 tasks 데이터베이스 테이블에 대응하는 Task 모델을 정의합니다. 이번에도 아티즌 커맨드를 이용해서 모델을 생성할 수 있습니다. 이 경우에는 make:model 커맨드를 사용합니다. Eloquent 모델의 사용법은 애플리케이션에 라우팅을 추가하면서 차차 알아가게 될 것입니다. 더 많은 정보를 얻고 싶으시다면 Eloquent 문서를 참고하십시오. 이제 애플리케이션에 몇개의 라우트(route)를 추가할 수 있습니다. 라우트는 사용자가 특정 페이지에 접속할 때 실행되어야 하는 컨트롤러나 익명함수에 대한 URL을 구성하는 역할을 합니다. 모든 라라벨 라우트들은 기본적으로 app/Http/routes.php 파일에 정의되어 있습니다. 이 애플리케이션에서는 최소 3개의 라우트가 필요합니다: 모든 할일들을 목록화하는 라우트, 새로운 할일을 추가하는 라우트, 그리고 이미 존재하는 할일를 삭제하는 라우트입니다. 그럼 이 라우트들을 아래와 같이 app/Http/routes.php 파일에 구성합니다. 이제 / 라우트를 구성합니다. 이 라우트에서 현재 할일 목록 뿐만 아니라 새 할일을 추가할 수 있는 폼을 가진 HTML 템플릿을 화면에 구성하려고 합니다. 라라벨에서 모든 HTML 템플릿은 resources/views 디렉토리에 저장되어 있으며 view 헬퍼를 이용해서 하나의 템플릿을 라우트에서 반환할 수 있습니다. 물론, 이제 이 뷰파일을 정의해야 합니다. 이 애플리케이션에서는 현재 할일들의 목록과 새 할일를 추가하는 형식을 가진 view를 하나만 구성합니다. 화면을 구성하는데 도움을 주기 위해 아래에 기본적인 부트스트랩 CSS 스타일링을 적용한 완성된 애플리케이션의 스크린샷을 제공합니다. 거의 모든 웹애플리케이션은 모든 페이지에 동일한 레이아웃을 사용합니다. 예로 들어 이 애플리케이션은 페이지가 하나 이상일 경우 모든 페이지 위에 검색바가 표시됩니다. 라라벨은 블레이드 Layouts를 통해 이런 공통의 기능을 모든 페이지에 적용하기 쉽게 해줍니다. 앞서 이야기한 바와 같이 라라벨의 모든 view 파일들은 resources/views에 저장되어 있습니다. 그럼 이제 resources/views/layouts/app.blade.php에 새 레이아웃 view를 정의합니다. .blade.php 확장자는 뷰를 렌더링하기 위해 블레이드 템플릿 엔진를 이용하라고 프레임워크에 알려줍니다. 물론 라라벨에서는 순수 PHP 코드 템플릿을 사용하는 것이 가능합니다. 하지만 블레이드는 더 편리하고, 작성하기 깔끔한 방법을 제공해줍니다. 레이아웃의 @yield('content') 부분은 레이아웃을 확장하는 모든 자식 페이지들이 어디에 자신의 콘텐츠를 작성 할 수 있는지 지정해주는 특별한 블레이드 지시어를 말합니다. 이제 이 레이아웃을 사용하고 주요 컨텐츠를 제공할 자식 뷰를 정의합니다. 이제 애플리케이션 레이아웃이 완성되었습니다. 다음은 현재 할일 리스트 테이블과 새 할일을 생성하는 폼을 가진 뷰를 정의해야 합니다. resources/views/tasks.blade.php에서 뷰를 정의합니다. 다음으로 넘어가기 전에 이 템플릿에 대하여 잠시 알아보겠습니다. 먼저 @extends 명령은 resources/views/layouts/app.blade.php에서 정의한 레이아웃을 사용한다는 것을 블레이드에 알려줍니다. @section('content') 와 @endsection 사이의 모든 콘텐츠는 app.blade.php 레이아웃 안에 있는 @yield('content')에 구성 될 것입니다. 이제 form 에서 넘어오는 데이터들을 처리하고 새 할일을 데이터베이스에 추가하기 위해 POST /task에 해당하는 라우트에 코드를 추가할 수 있습니다. 참고: @include('common.errors') 구문은 resources/views/common/errors.blade.php에 위치한 템플릿을 로드할 것입니다. 이 템플릿은 아직 정의되지 않았으며 좀 더 뒤에서 정의할 예정입니다. 이제 뷰에 Form 이 구성되어 있으며 전달되는 입력값을 확인하고 새 할일을 생성하기 위해서 POST /task 라우트에 코드를 추가해야 합니다. 먼저 입력값을 검증합니다. 이 Form에서는 name 필드를 필수로 하고 255 자 미만이어야 한다는 내용을 담도록 할 것입니다. 입력값 검증 실패 시에 사용자는 / URL로 돌아가게 되며 이전에 입력한 값들과 에러는 세션에 기록해 둡니다. 잠시 이 예제의 ->withErrors($validator) 부분에 대해 알려드리겠습니다. >withErrors($validator) 호출은 주어진 입력값 검증의 결과를 세션에 기록하여 뷰파일에서 $errors 변수을 통해 접근할 수 있도록 해줍니다. 앞서 뷰 파일을 구성할 때 @include('common.errors') 지시어를 사용해 입력값 검증 오류를 표시하도록 하였습니다. common.errors는 모든 페이지에서 같은 형식으로 입력값 검증 오류를 쉽게 보여줄 수 있게 해줍니다. 참고: $errors 변수은 모든 라라벨 뷰에서 제공됩니다. 따라서 입력값 검증 오류가 존재하지 않는다면 변수는 단순히 'ViewErrorBag' 형태의 비어있는 인스턴스일 것입니다. 입력값 검증이 해결되었으니 이제 라우트를 계속해서 채워나가면서 새 할일를 생성합니다. 새 할일이 생성되면 사용자는 / URL로 돌아갑니다. 할일를 생성하기 위해 Eloquent 모델에 프로퍼티를 구성하고 설정한 뒤 save 메소드를 호출할 수 있습니다. 좋습니다. 이제 성공적으로 할일을 생성할 수 있습니다. 다음으로 존재하는 모든 할일 목록을 만들어 뷰에 계속 추가하도록 합니다. 할일 애플리케이션이 거의 완성되었습니다. 하지만 할일이 수행된 후 삭제하는 방법이 아직 없습니다. 다음은 이를 추가합니다. 코드에서 삭제 버튼이 있어야할 곳에 "TODO" 라고 표시해놓았었습니다. tasks.blade.php 뷰파일 안에 있는 할일 목록의 각 행에 삭제 버튼을 추가합니다. 각각의 할일 옆에 작은 버튼을 구성할 것입니다. 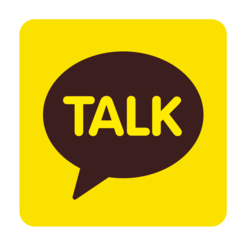 버튼을 누르면 DELETE /task 요청이 애플리케이션에 전달될 것입니다. Route::delete 라우트를 이용해서 요청에 대응할 때에도 삭제 버튼의 폼 method는 POST로 구성되어 있습니다. HTML 폼은 GET 과 POST HTTP 메소드만을 허용하기 때문에 폼에 DELETE 요청을 나타낼 수 있는 방법이 필요합니다. This quickstart guide provides a basic introduction to the Laravel framework and includes content on database migrations, the Eloquent ORM, routing, validation, views, and Blade templates. This is a great starting point if you are brand new to the Laravel framework or PHP frameworks in general. If you have already used Laravel or other PHP frameworks, you may wish to consult one of our more advanced quickstarts. 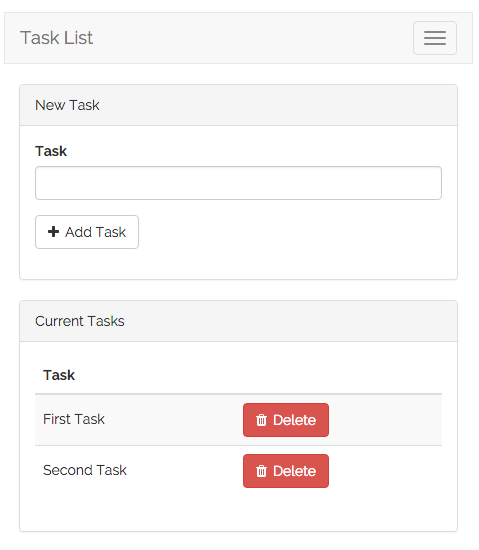 To sample a basic selection of Laravel features, we will build a simple task list we can use to track all of the tasks we want to accomplish (the typical "to-do list" example). The complete, finished source code for this project is available on GitHub. For more complete documentation on building a local Laravel development environment, check out the full Homestead and installation documentation. First, let's use a migration to define a database table to hold all of our tasks. Laravel's database migrations provide an easy way to define your database table structure and modifications using fluent, expressive PHP code. Instead of telling your team members to manually add columns to their local copy of the database, your teammates can simply run the migrations you push into source control. This command will create all of our database tables. If you inspect the database tables using the database client of your choice, you should see a new tasks table which contains the columns defined in our migration. Next, we're ready to define an Eloquent ORM model for our tasks! Eloquent is Laravel's default ORM (object-relational mapper). Eloquent makes it painless to retrieve and store data in your database using clearly defined "models". Usually, each Eloquent model corresponds directly with a single database table. We'll learn more about how to use Eloquent models as we add routes to our application. Of course, feel free to consult the complete Eloquent documentation for more information. Next, we're ready to add a few routes to our application. Routes are used to point URLs to controllers or anonymous functions that should be executed when a user accesses a given page. By default, all Laravel routes are defined in the app/Http/routes.php file that is included in every new project. Next, let's fill out our / route. From this route, we want to render an HTML template that contains a form to add new tasks, as well as a list of all current tasks. Of course, we need to actually define this view, so let's do that now! Almost all web applications share the same layout across pages. For example, this application has a top navigation bar that would be typically present on every page (if we had more than one). Laravel makes it easy to share these common features across every page using Blade layouts. As we discussed earlier, all Laravel views are stored in resources/views. So, let's define a new layout view in resources/views/layouts/app.blade.php. The .blade.php extension instructs the framework to use the Blade templating engine to render the view. Of course, you may use plain PHP templates with Laravel. However, Blade provides convenient short-cuts for writing cleaner, terse templates. Note the @yield('content') portion of the layout. This is a special Blade directive that specifies where all child pages that extend the layout can inject their own content. Next, let's define the child view that will use this layout and provide its primary content. Great, our application layout is finished. Next, we need to define a view that contains a form to create a new task as well as a table that lists all existing tasks. Let's define this view in resources/views/tasks.blade.php. Before moving on, let's talk about this template a bit. First, the @extends directive informs Blade that we are using the layout we defined at resources/views/layouts/app.blade.php. All of the content between @section('content') and @endsection will be injected into the location of the @yield('content') directive within the app.blade.php layout. Next, we're ready to add code to our POST /task route to handle the incoming form input and add a new task to the database. Note: The @include('common.errors') directive will load the template located at resources/views/common/errors.blade.php. We haven't defined this template, but we will soon! Now that we have a form in our view, we need to add code to our POST /task route to validate the incoming form input and create a new task. First, let's validate the input. Let's take a break for a moment to talk about the ->withErrors($validator) portion of this example. The ->withErrors($validator) call will flash the errors from the given validator instance into the session so that they can be accessed via the $errors variable in our view. Note: The $errors variable is available in every Laravel view. It will simply be an empty instance of ViewErrorBag if no validation errors are present. Great! We can now successfully create tasks. Next, let's continue adding to our view by building a list of all existing tasks. Our task application is almost complete. But, we have no way to delete our existing tasks when they're done. Let's add that next! Note that the delete button's form method is listed as POST, even though we are responding to the request using a Route::delete route. HTML forms only allow the GET and POST HTTP verbs, so we need a way to spoof a DELETE request from the form.